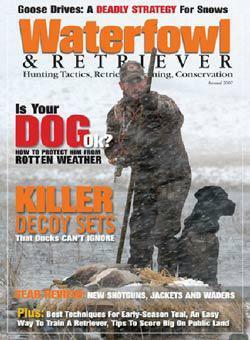 Waterfowl and Retriever magazine is aimed at the experienced as well as novice duck and goose hunter. Waterfowl and Retriever magazine features exceptional tips and pointers, and is a much needed resource for experts and beginners alike. Power and strength will be yours with this 14-1/2" Maxam� Hunting Knife with sheath. The razor sharp stainless steel blade measures 9" and will cut through animal hide like it was butter. The imitation wood handle, reminiscent of ancient pirate cutlasses, has been adorned with copper and rhinestones. �Sportsman�s Collection� by Maxam�. This incredible outdoorsman�s 8 piece set will take the work out game or fish preparation. Whether it�s dove season or deer season, whether it�s bream or deep sea fishing, this set has the knife or shears to cut that tough job down to size. Includes skinning knife, cleaver, large hunting knife, medium hunting knife, keychain knife, game shears, 5-3/4" and 7-1/4" fish fillet knives.